Spring is finally warming up gardens everywhere. That means early spring vegetables. Peas are a wonderful choice for the home garden; they are super simple to grow, and start producing fast. 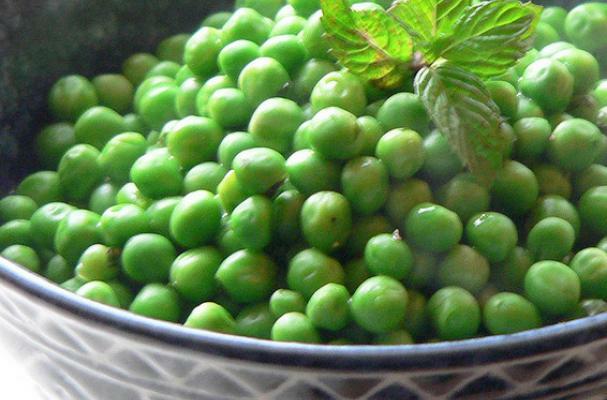 Check out these 5 Perfectly Delicious Pea Recipes from the Foodista files. You will be craving early spring veggies in no time. This classic dish made by the wildly popular chef; Julia Child's Buttered Peas With Mint, will satisfy your hunger for fresh spring bounty. any chance you would be able to link to the recipes featured in this round-up? Holy Cats! That's so weird...Just a sec.